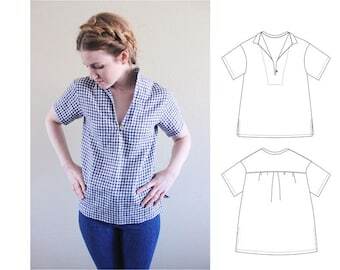 I am taking a hiatus for the time being while I try to release a few more sewing patterns. I think I got a little burned-out sewing pants, and so I have decided to take a break from custom orders at this time. I will be sure to let each of you know as soon as I am ready to take custom orders again. If you haven't already contacted me and would like to be added to a waiting list, you can send me your email address and I will notify you as soon as I am available again. Thank you so much for understanding! I will be moving house in August and will not be able to fill Custom Orders until after I have moved and set up my studio. I may have time to work on a few custom orders before the moving date. Please contact me if you would like to make a custom order or if you have any questions. Thank you! 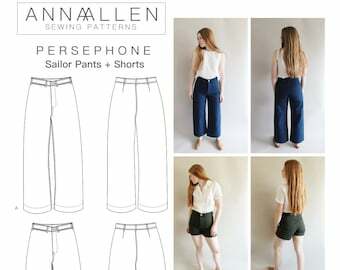 Made to order clothing and sewing patterns for women. 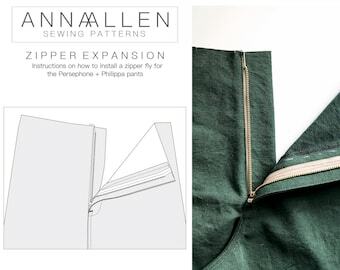 Anna Allen garments are made with natural fibers and each design is drafted by the designer herself. The designs are both romantic and practical, but we strive to create timeless garments that are worn and cherished for years to come. XS: bust 31-32", waist 24-25", hip 34-35"
S: bust 33-34", waist 26-27", hip 36-37"
M: bust 35-36", waist 28-29", hip 38-39"
L: bust 37-38", waist 30-31", hip 40-41"
quick delivery + pattern is beautifully designed, thank you! Hand made clothing influenced by the past. My name is Anna McClurg. Allen is my maiden name. I married my best friend in 2011, and together we made our way from Iowa to Chicago. A few years later we relocated to the beautiful mountains of Boulder, Colorado. 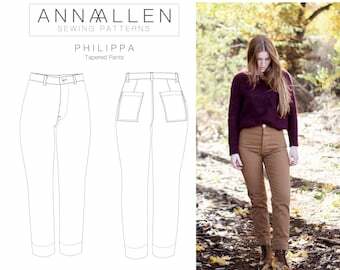 Anna Allen Clothing has been a dream of mine for many years. In late 2003 I started my own business selling 19th century historical clothing for living historians. I was fascinated by history and garment construction for most of my life and spent countless hours researching and hand constructing garments from the 19th century. Later on I became interested in modern apparel design. 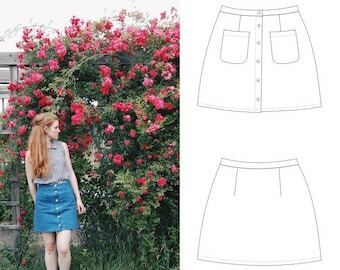 I decided to teach myself how to draft and grade patterns so that I could start producing my own clothing for women. 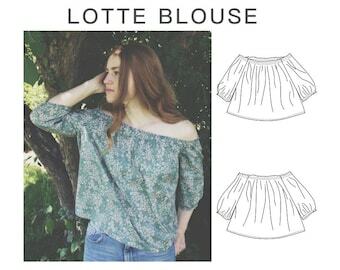 I try to produce clothing that can easily transition from one season to the next. I really believe in "quality over quantity". I make my garments using natural fibers as much as possible as I believe they will last much longer than synthetic fibers and are better for the environment. If you have any questions at all or want to ask about a custom order, don't hesitate to send me an email! You can reach me at gracefullady [!at] gmail.com or you can contact me here on Etsy via a private message. We take great care in providing garments which are both timeless and comfortable to wear. Our goal is not to produce "trends" but sensible clothing and basic wardrobe staples that you will feel beautiful in and wear for years to come.